In the final week of exploring Tangible Media, we will continue to focus on project development. This is the last opportunity for you to get critical feedback from your tutor. Please bring all components with you.We will devote the entire workshop to this final review. The gallery and blackboxes will be available for testing – but please pack up all your materials and equipment after class as the spaces are needed for other subjects. Exhibition of William Kentridge’s work at the Art Gallery of New South Wales – well worth a visit! Workshop 12: Planning and more testing! You will be focus on planning and testing your work-in-progress in this week’s workshop. Please ensure you have your work in class to test. Black boxes will be available for use in testing any components. Your tutors will be working on the draft space allocation in class based on the information you provide us using the Project Planning Pro forma. In this last lecture of the series, we will take some time to look at what we have explored in this subject in order to draw out some themes in media arts practice that help us develop a deeper understanding of interaction, material encounters, and meaningful experiences. We will spend the first part of the lecture looking at how artists and designers make use of a wide variety of materials in their works to present questions, convey ideas or produce experiences. We will conclude by examining the common themes that emerged from our exploration with particular relation to your major project and project towards future practice. Genuine interdisciplinary collaboration between practitioners in arts and sciences can be a complex process. This lecture explores some case studies of the challenges and outcomes of meaningful arts-science collaborations. The works that sit at the cusps of disciplinary boundaries, there are always negotiation between the artists and scientists in balancing the need for scientific accuracy with making the science accessible and allowing for artistic creativity. Two key challenges remain evident: the establishment of a common language between researchers in the arts and sciences, and developing a sound understanding of the practice of research in the different fields. The lecture includes works from the Australia Network of Art and Technology’s Spectra Symposium. This week is devoted to your prototype presentation. Set up and present your prototype in the gallery space and black boxes as directed by your tutor. During the presentations, be generous to your peers by participating in the critique session. Your questions, thoughts and honest feedback can help each other build better works. A second component of Assessment 2 is a critical reflection report which will be due on the Friday of week 11. You may also want to spend time to review artworks and theories that contextualise and inform your project to develop your artist statements. Please submit a link to your critical reflection for Assignment 2 on your blog in the comments below. Please include your full name and check that this is the correct class. Assessment 2: Prototype presentation provides an opportunity to test your ideas into physical form, and to solicit response and feedback from an informed audience. Bearing in mind: one of the key concepts explored is interaction in terms of audience experience. You should be testing and examining this central idea in the prototype presentation. This assessment has now moved to week 11, which will allow you to dedicate this week’s class (and the following mid-session break) to get your prototype up and running for the accessible presentation. In this week’s lecture we shift our focus to how we experience space. When we walk around a new building, we explore the interior spaces through our senses, we may chance upon entrances and exits, we may be guided through passages and corridors, we experience built spaces intuitively. Architecture is movement in space and passage through time and there are no still moments. Inhabiting within architecture is a designed experience – it can be immersive. What can we learn from architecture to create meaningful and affective experiences in media artworks? To continue the theme that arose from last week’s lecture, we will explore the possibility of media arts in creating spaces and systems that are capable of inspiring transformation. This lecture examines practices of artists, architects and designers including Dan Graham, Olafur Eliasson, Tomás Sarareno and Fujiko Nakaya in how they incorporate environmental thinking into embodied experiences. We examine how the use of space, technologies and materials in constructing systems, can enable artists and designers to produce wonderful / wondrous experiences that engage us and transform our view of the world. In this lecture, we will keep our focus on objects, but instead of looking at objects, as we did week, we will look at class of things. We will examine the systems we use to categorise found objects and organise them into collections. Specifically, we will analyse how da wunderkammer, the contemporary museum, and artworks arrange objects and build knowledge. Our focus will be on the physical display and presentation of material objects and the different systems that produce different experiences for an audience – different forms of engagement. 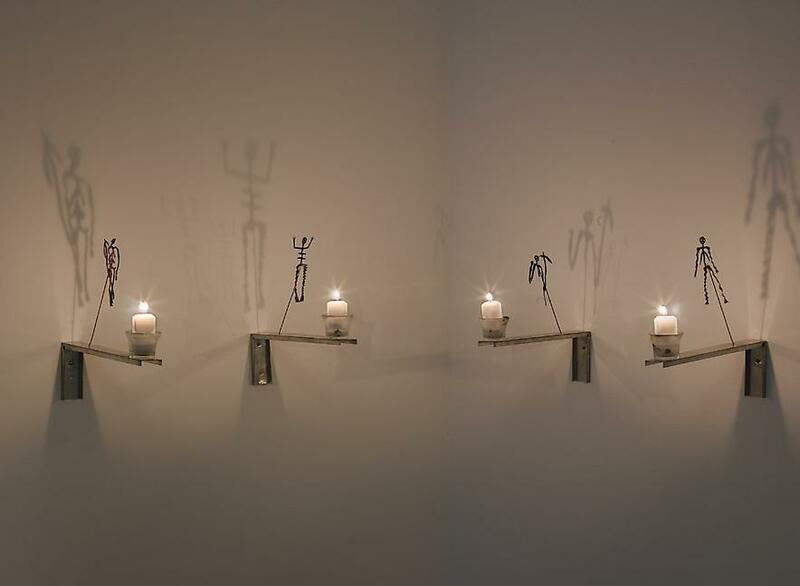 We will look at the artworks of Joseph Cornell, Mark Dion, and Fiona Hall in how these re-work the wunderkammer or museum concept, but more importantly, how they function to transform our knowledge through materials. Again, this lecture will provide the relevant contexts for the major project of the subject – in addressing its theme.